Georgia Southern University broke ground on August 29, 2017, for the new $22 million facility that will house the Waters College of Health Professions in Savannah. Georgia Southern University broke ground on Aug. 29, 2017, for the new $22 million facility that will house the Waters College of Health Professions in Savannah. The S/L/A/M Collaborative designed the project and the project is being managed by the Holder Construction Company. The new health professions facility is being funded primarily by the state, which approved the funding last May. The University's college for which a new building is under way is named after Don and Cindy Waters, Armstrong graduates, who donated $2 million toward the college. 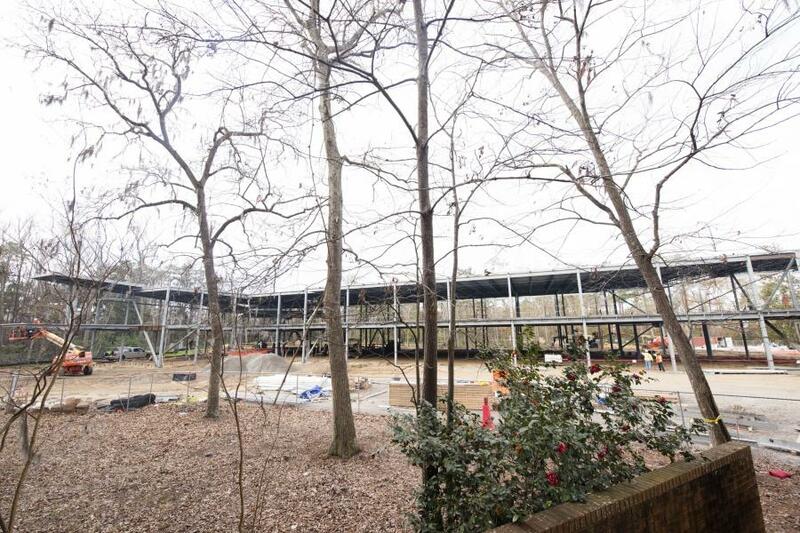 The project consists of a new two story/63,000-sq. 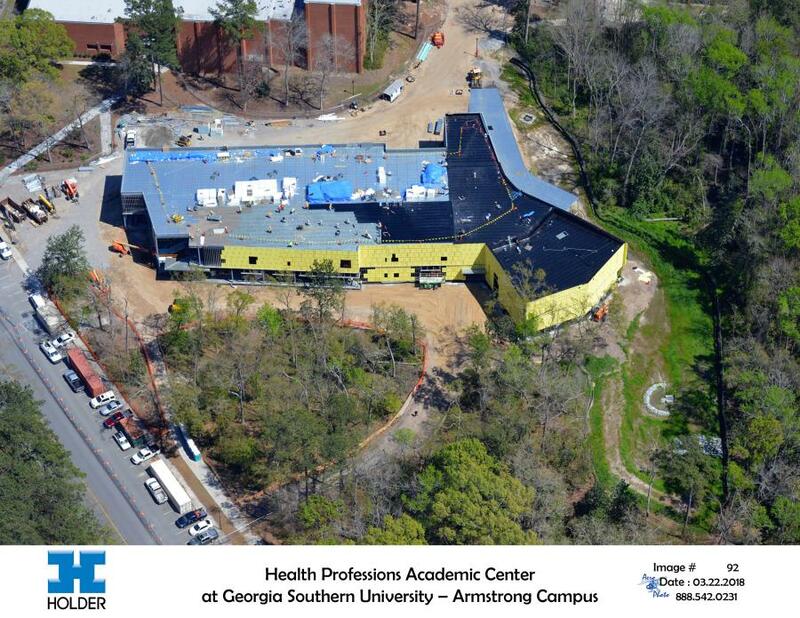 ft. health professions building and associated renovations of the 46,000 sq. ft. Ashmore Hall. The new health sciences building will house a Simulation Suite and provide hands-on team-oriented learning opportunities for students. A major goal is to simulate the environment of a hospital or medical facility. The building is expected to be delivered in late 2018 and will open its doors to students for the spring semester. Georgia Gov. Nathan Deal stressed how the investment will help to improve health care in the state. A key aspect of Georgia Southern's efforts has been in medicine and it graduates more undergraduate health professionals compared to other universities in Georgia via a range of academic programs in nursing, public health, health administration and the allied health professions. The new facility is linked to Georgia Southern's mission to jump-start economic development in the coastal Georgia region by supporting collaborative efforts and technological advancements in a variety of fields of study. Georgia Southern President Jaimie Hebert made it clear how the Waters College of Health Professions will make a difference. The S/L/A/M Collaborative developed a design that celebrates the interdisciplinary nature of the health professions. The design consolidates many program areas vital to the College of Health Professions such as public spaces and amenities; classrooms; teaching/learning labs; a simulation suite; faculty/administrative spaces; and building support spaces. The project will incorporate the requirements of the Georgia Energy Efficiency & Sustainable Construction Act. Holder Construction started the clearing and grading of the site last August, which was followed by the installation of the foundations and the structural steel. Soon afterwards crews starting putting on the structural studs and sheathing, along with the interior framing. The mechanical/electrical/plumbing in-wall rough-in (MEP) started in February. “We recently started the roofing and the building is now temporarily dry,” said Bert van der Meer, Holder's project manager. “This will support the drywall installation of the building. For the Ashmore renovation, we started it in January because we had to wait for the school to vacate the building. The demolition work was done throughout January and then we immediately moved into interior framing and overhead MEP rough in. Two immediate challenges were the discovery of unsuitable soils and the impact of Hurricane Irma, as well as an unexpected snow in early January. Planning for the schedules and benchmarks began early as Holder, S/L/A/M and Georgia Southern collaborated early on. Existing utilities are being avoided and Holder has a stringent process relating to the installation of new utilities and below ground construction. Holder is applying lessons learned from previous university projects. “Planning the logistics early on was very helpful,” said van der Meer, “communicating our plan to make sure that we have the university's buy-in on how we were setting up our construction fence-line and phasing. We carry that from project-to-project. This also includes coordinating invasive work whether it be outages or loud bothersome work and planning that around holidays and breaks so that we're not impacting student and faculty life. There are 25 subcontractors working on the project. Currently there are around 90 workers on site, which will peak to about 150 when the building envelope work goes into high gear. The lead foremen meet every day at 6:45 a.m. to map out the daily benchmarks and every Tuesday subcontractor coordination meetings are held. Both meetings are led by Joe Jett, Holder's superintendent. Figures are still being determined for the amount of material that has been removed from the site and the materials being used for the construction. Much of the equipment being used is leased from local equipment dealerships via the subcontractors. The earthworks subcontractor owns its excavators and grading equipment and the steel subcontractor is using a Maxim crane for structural steel hoisting. Equipment being employed includes dozers, excavators, forklifts, cranes, loaders, concrete pumping and pouring machinery, other standard vehicles, and telebelts for the installation of the sub-grade stone that was very helpful with the structure installation.